It's fall, and you know what rain means! When the weather cools after a long summer, I resume my baking. There is absolutely nothing like the warm smell of cinnamon wafting around the house, tickling your nose. It makes me want to curl up in a cozy corner with a good book! 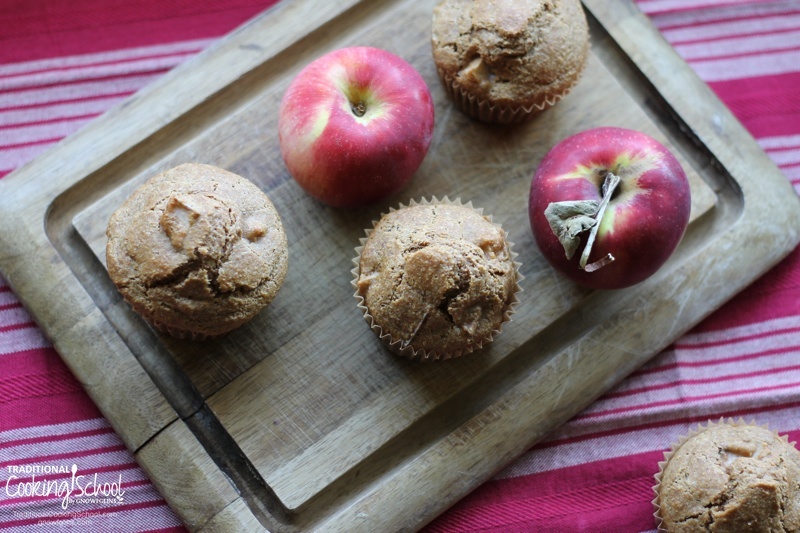 As fall settles in, apples start ripening on the trees, begging to be picked and made into all sorts of delights! This is such a fun activity to do with the kids — I still remember climbing up the apple tree at my parents' house to help with the harvest. We picked bushels of them until the tree died and made apple cider, apple sauce, and apple butter. 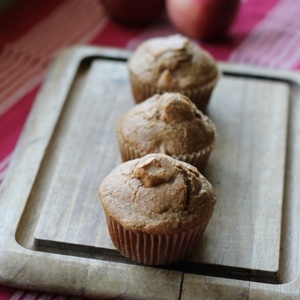 One of my favorites is soaked apple cinnamon muffins. Easy to make and yummy, they are wonderful straight out of the oven with butter spread on top. They also make a great breakfast with eggs or a gift to the neighbors. 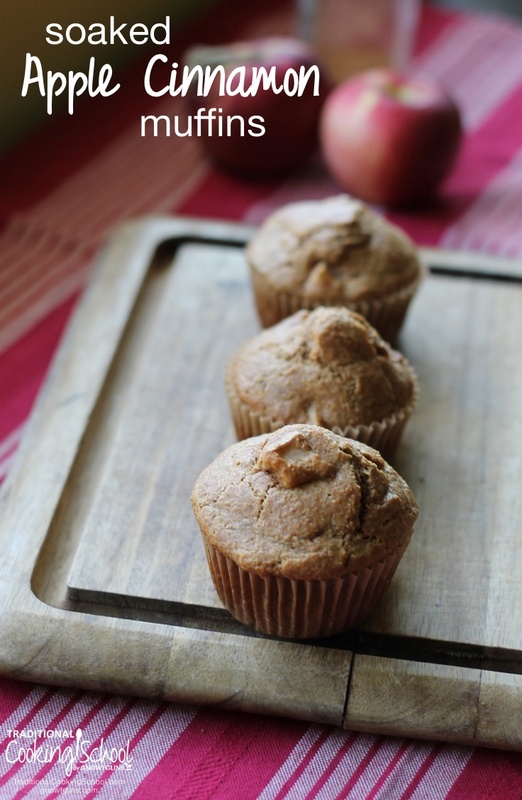 One of my favorites is soaked apple cinnamon muffins. Easy to make and yummy, they are wonderful straight out of the oven with butter spread on top. They also make a great breakfast with eggs or a gift to the neighbors. Makes 12 to 15 muffins. In a medium sized bowl mix the flour and cinnamon. Add the raw milk (milk kefir or yogurt), maple syrup, and butter. Cover with a towel and leave on the counter for 7 to 24 hours. Add the baking soda, egg, and apples. Place muffin liner in the muffin tin or lightly grease each mold. Fill each liner 2/3 of the way full. Bake at 400 degrees Fahrenheit for 20 minutes. Test with a toothpick or fork to be sure they are cooked through. If it comes out wet, the muffins need more time. Put the muffins a cooling rack to cool when baked completely. What's your favorite way to cook with apples? Katie Mae Stanley is the writer at Nourishing Simplicity, where the focus is on nourishing foods, herbal remedies, simple living and faith. Ethnic and Mid-west foods are always a favorite in her kitchen and on her blog. She is also the author of the book Steeped: Simple Nourishing Teas and Treats. 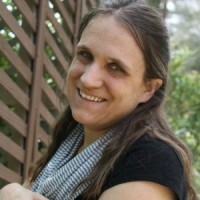 Katie Mae spent 10 years as a missionary dorm "mama" for a gaggle (almost 40) of amazing deaf girls at a school for the deaf in Baja California, Mexico. Now she finds herself state side ready to embrace God's next adventure. A cup of tea or coffee and a bit of dark chocolate make an appearance at some point in any given day. You can connect with the Nourishing Simplicity community on Facebook, Twitter, and Google+. We like apple pie and apple dumplings. I order from Azure Standard every month but I don’t have good luck with produce. It has to travel too far to get here and doesn’t keep well. 🙁 I wonder if apples would do better though. Their prices are really much better than what I can get at the grocery store. I’ve almost always had a good experince with my apples from them and butternut squash too. The only time I didn’t like the apples was when I ordered them in Dec/Jan. Since they aren’t growing then it makes sense that they were as fresh. This is on my counter soaking and waiting to be baked early in the morning. I am looking forward to trying them. Thank you for the recipe. Wonderful! I hope you liked them! I would double the amount of apples next time I make these. The cooking time seemed too long, they were burnt after only 15 mins. I’m sorry that happened. It may be that your oven (or maybe mine) is off. Would these muffins be freezable? Sorry for missing this, yes they are! Will an organic store bought yogurt work, or does it need to be from raw milk? Yes, store bought organic yogurt is fine. It just needs to have good bacteria for the soaking which pasteurized milk does not, yogurt does though! What could you use to shoot the batter, if you don’t have raw milk, kefir or yoghurt? Canned coconut or water and two tablespoons of whey, apple cider vinegar (with the mother), kombucha, or water kefir. It’s there an alternative to using dairy to sour. the batter? Yes there is, canned coconut or water and two tablespoons of whey, apple cider vinegar (with the mother), kombucha, or water kefir. Is the salt to be added along with the flour, cinnamon, etc. before the 7 to 24 hour soak? I see it listed in the ingredients but not in the instructions. You can add salt before or after soaking, Theresa. Whatever works for you! Can I use almond flour for the soaked muffin recipe? Soaked this recipe overnight and about to bake! Thanks! Question: what size is best to dice the apples? 1 inch pieces? Less? Thank you! Cannot wait to try!